Choose the right pumpkins. Make sure they have healthy stems attached, are free of rotted spots and feel ripe. 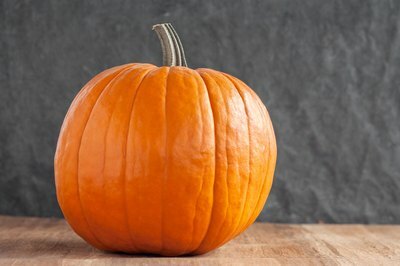 A pumpkin with weak or soft spots will rot faster than a healthy, firm pumpkin. 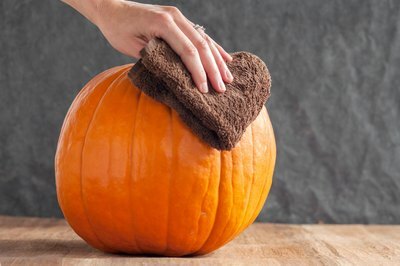 Wash the pumpkins in a bleach solution. Dilute a tablespoon of bleach in a gallon of water and clean the pumpkin with the solution. This will remove any bacteria and slow down the rotting process. 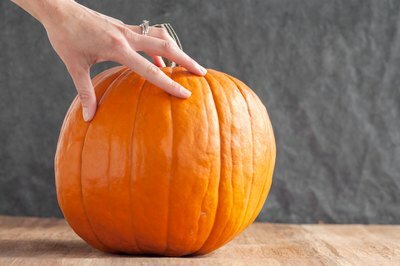 Seal the pumpkin by using a glossy sealant on its surface. 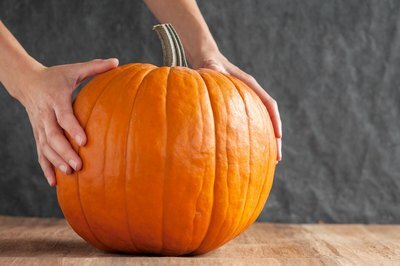 Spray the sealant on to the pumpkin to allow it to keep its shape longer. 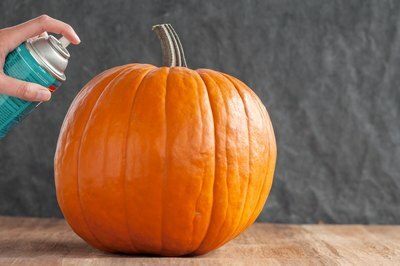 The sealant can also add some shine to your decorative pumpkins, and if you are going to paint your pumpkin, add the sealant last to protect your work and the pumpkin. Set the pumpkins in a place that isn't in direct sunlight. Exposure to the sun will cause it to rot faster.